Oodi represents a new era of libraries. It will enliven and diversify the urban environment in the Töölönlahti area, and offer activities and experiences for all ages. 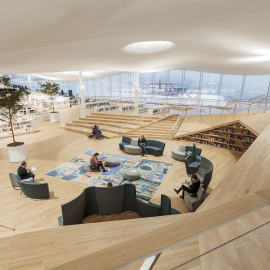 As a non-commercial indoor public space open seven days a week, the new Central Library will act as Helsinki residents’ common living room, work space and learning environment. Oodi is an inspiring and highly functional addition to the urban life of Helsinki and more specifically, the Töölönlahti area. 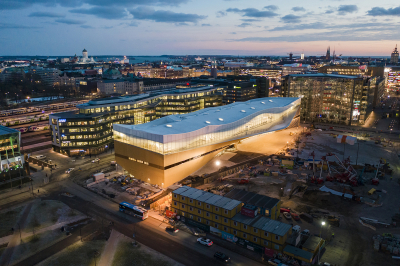 The newly completed library building in the city center, neighboring the Parliament House, Kiasma Museum of Contemporary Art, Helsinki Music Centre and the Sanoma House, consists almost entirely of public space and offers a wide selection of services. 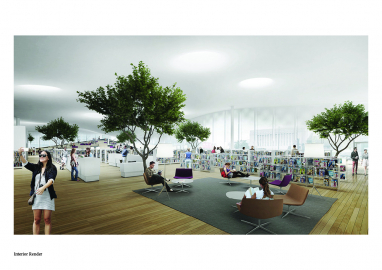 It will become the new central point for Helsinki’s impressive public library network. 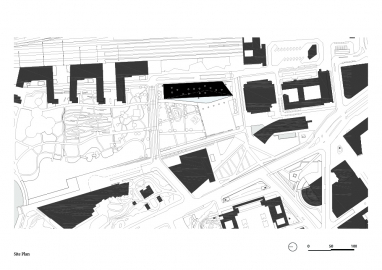 Oodi opens directly to the surrounding cityscape. The Kansalaistori square seamlessly continues under the entrance canopy and into the building. 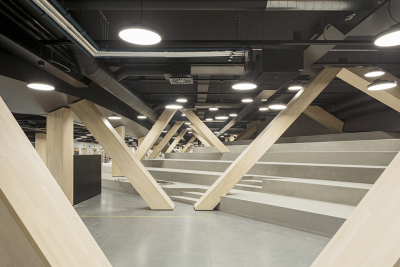 The wooden front facade arches over the ground floor as a dramatic bridge-like structure. The resulting column-free lobby space is suitable for all kinds of events. 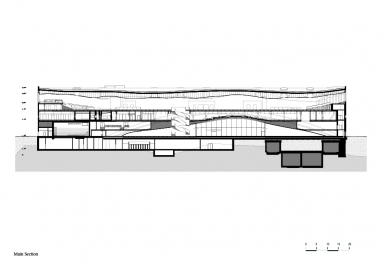 Even the multipurpose hall and the cinema can be used as extensions of the lobby. 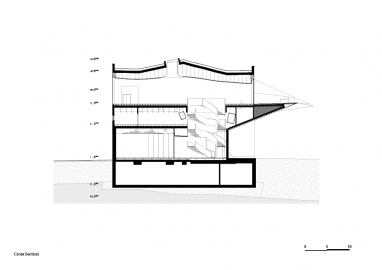 The middle floor consists of flexible rooms, nooks and corners inhabiting the spaces between the trusses of the bridge structure. These enclosed spaces are designed to accommodate group working areas, recording studios, editing rooms and a maker space. On the top floor the best features of a traditional library meet the most recent technologies. 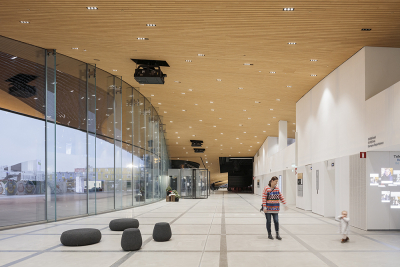 The open space is topped with a cloud-like undulating ceiling. The serene atmosphere invites visitors to read, learn and relax. 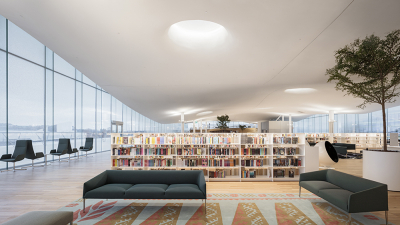 The top floor also offers unobstructed panorama views of the city center through the floor-to-ceiling windows and from the large public terrace on top of the canopy. 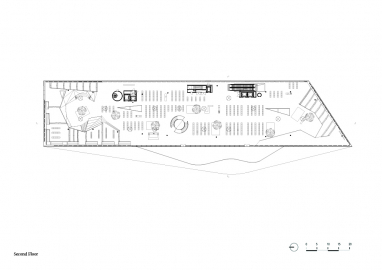 The administration and logistics spaces are kept to the minimum on the public floors to maximize the accessible nature of the library. 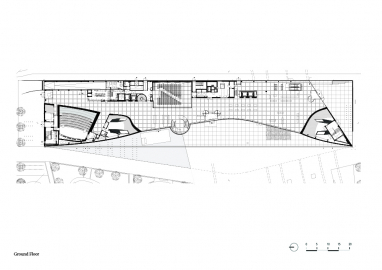 The spatial concept has been executed by building Oodi as an inhabited bridge spanning over 100 meters over the open ground floor space. The bridge structure consisting of steel trusses and beams is supported by two massive steel arches, tensioned together with a reinforced concrete slab. 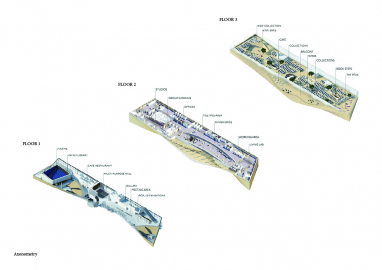 This innovative solution has enabled the construction of the column-free interior spaces and the possible future road tunnel under the site. Secondary steel trusses support the cantilevering balcony and roof canopy asymmetrically from the arch structure. Oodi has been built using local materials and with local climate conditions in mind. 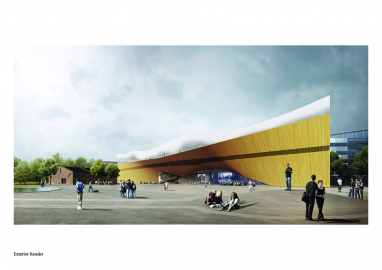 The wooden façades are made from pre-fabricated modules. The cladding material is spruce. To achieve the required precision, the complex curved geometry was designed and manufactured using algorithm-aided parametric 3D-design methods.